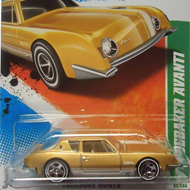 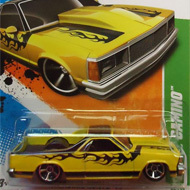 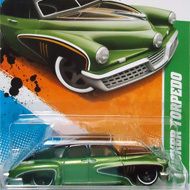 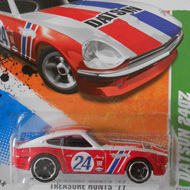 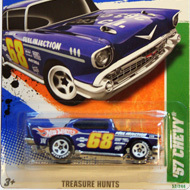 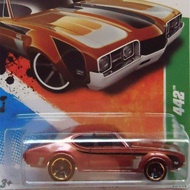 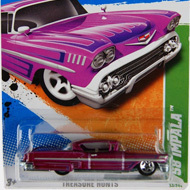 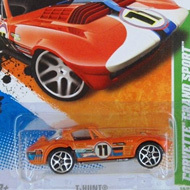 The 2011 regular set includes 15 vehicles. 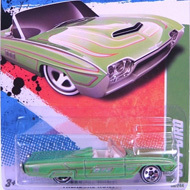 Each can be identified by a vertical green stripe with its name on the card. 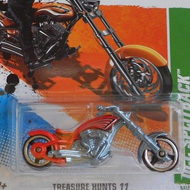 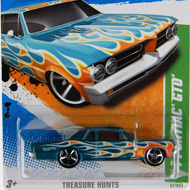 Below the bubble, at the bottom of the card is “TREASURE HUNTS”, “TREASURE HUNTS ’11“, or “T-HUNT®”. 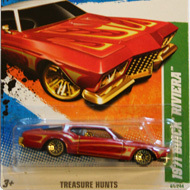 8/15 from the 2011 Treasure Hunt series. 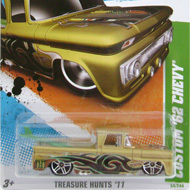 The Olds features copper metal flake paint with black, gold, and silver stripes and graphics….